There’s no surprise that I am about all things fall and this includes apples! So far I’ve made apple pie, apple cake and apple sangria, so you know the love is real. 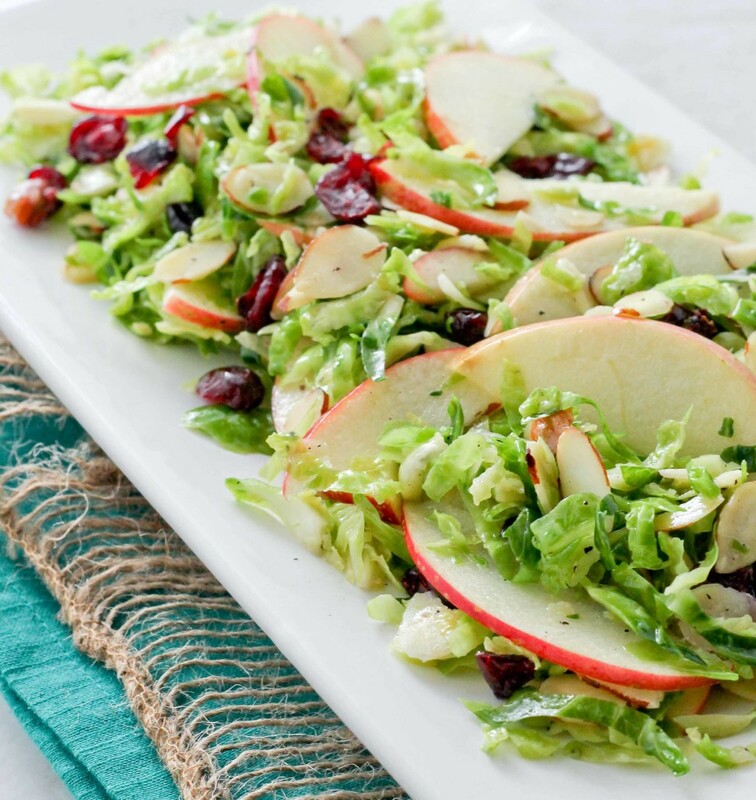 One of my favorite ways to eat apples is in a salad; almost every year, I serve some version of an autumn salad for the holidays. 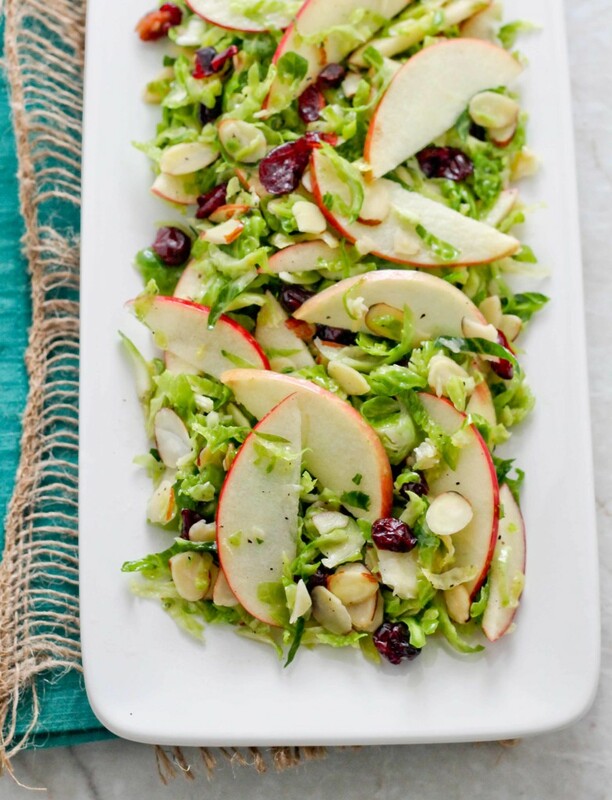 Today I’m sharing one of my go to autumn salads using SweeTango® apples, Brussels sprouts, dried cranberries and almond with a tangy dressing. Have you ever heard of SweeTango apples? 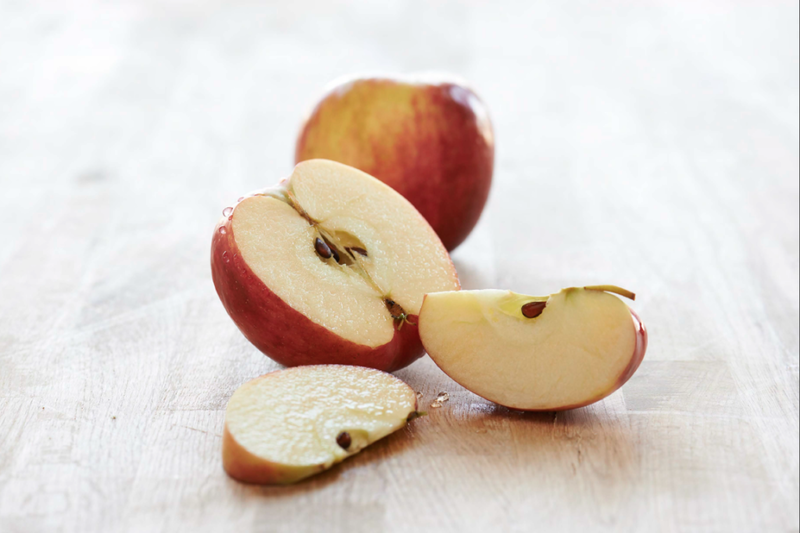 SweeTango is a hybrid of Honeycrisp and Zestar! apples; introduced in 2009, it is a seasonal apple that is only distributed in the fall. This isn’t your apple pie apple; with hints of honey, citrus and spice, the best way to enjoy this apple is to eat it as is. It is also perfect on a cheese tray or in salads. As I stated before these apples are seasonal so be sure to be on the lookout at your local grocer. Click here to find SweeTango in your city. I will be doing a SweeTango giveaway very soon so stay tuned! To make the salad place Brussels sprouts, almonds, cranberries and SweeTango in a bowl. Pour the salad dressing over top and toss to coat evenly. Refrigerate for 2 hours before serving. 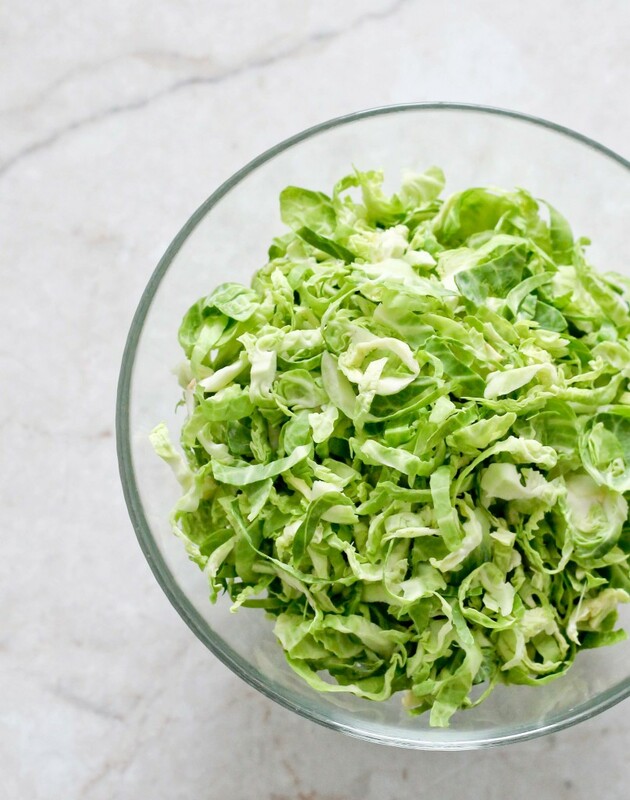 To make the dressing, place the crushed garlic, black pepper, Dijon mustard, olive oil, apple cider and apple cider vinegar in a bowl and whisk to combine or place in a jar and shake to combine. I was compensated for this post but all opinions are mine.